I have mentioned before that having a computer malfunction is “more fun in the Philippines.” Today, we discovered that having a tire blowout is also nicer, or at least, less agony, here. Sora was on the way to pick me up from Faith, when one of the rear tires blew with a loud pop. She limped the car a few blocks to the school parking lot, where some of the school’s helpful Filipino staff had the wheel off in short order, and produced a set of socket wrenches to help with the winch holding up the spare. In 30 minutes, we were on the road again. This was the best possible place for Sora to have a blowout. We’ve had several over the last 12 years, and this was by far the least painful. After giving a lift to our friend and fellow missionary mid-husband Josh, we headed to Continental Tire, where I told the workers that I wanted two new tires for the rear wheels. When we returned two hours later, I was astonished to be told that the fee for this work was only 80 pesos (=$2). Needless to say, the tires they had installed were certainly not new, so I guess there was a misunderstanding. Nonetheless, they look OK and I have a functional spare again, so I guess I’ll keep driving on them for a few days at least. The whole experience was interesting to compare with the struggle with the car’s starter and battery back in late February and early March. This time, I knew where to go and didn’t have much stress about the problem. Next step: mastering enough Cebuano to communicate more successfully with the mechanics. 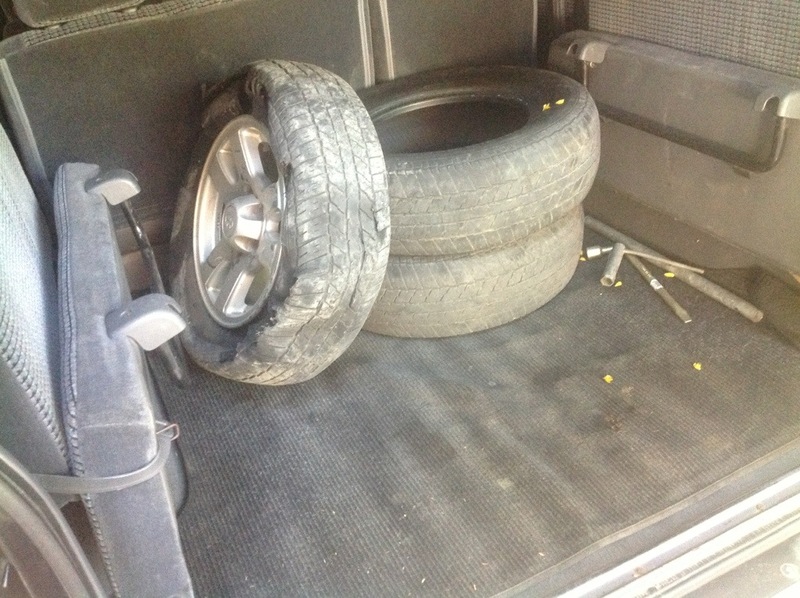 This entry was posted in Living in Davao and tagged blowout, miscommunication, Tires.